We all like it a bit rough and ready now and then. Sometimes I hate posting bikes that are too perfect. The soul of a cafe racer sometimes lives in the imperfections. Like a few scratches on the tank or a handmade seat that has a few random bolts. 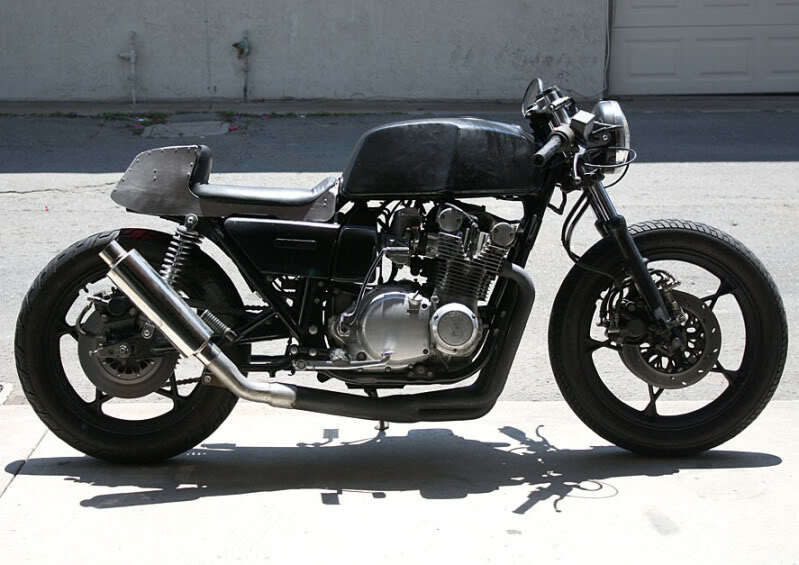 Like this awesome 1978 Suzuki GS750 I found on an old cafe racer thread (if you own it please let me know). There’s a great article on McNews about how the GS750 back in it’s day was the first Japanese superbike to get it right. The CB750 and Kawasaki Z900 both didn’t handle as well as the GS750 (I’m sure some of you will disagree). Anyway, as you can see it’s a great platform for a cafe racer. If you are looking to rip your arms off, check out this unique Nitrous Oxide running Dirt Drag GS750 for sale on Bikepoint.